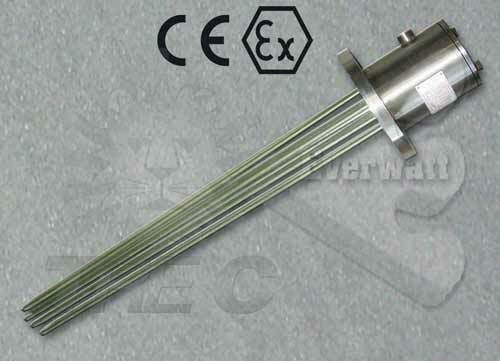 ATEX flange cartridge resistors for liquid heating are designed for a variety of industrial applications in the heating of liquid fluids with specific explosive use. 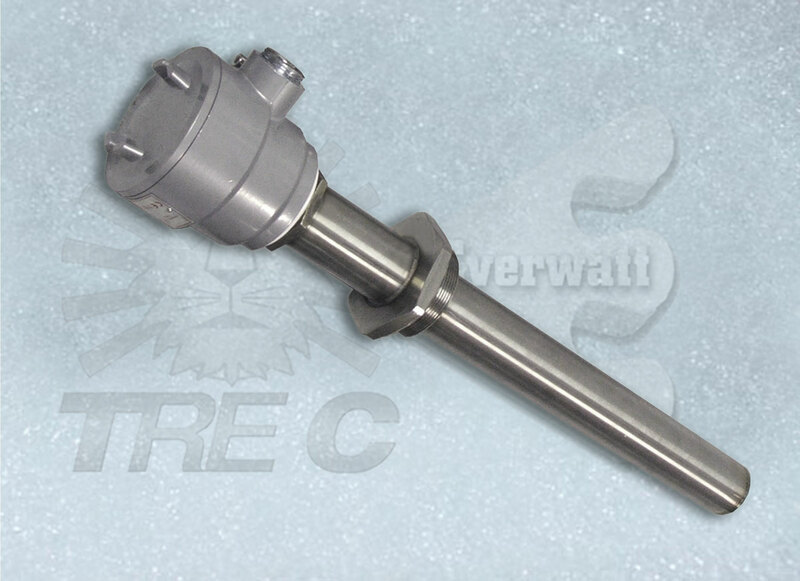 Made with highly innovative production solutions, thanks to high-quality materials from the world’s best markets, this type of heaters responds to the highest standards of reliability, with the goal in the most diverse industrial applications in the heating of gaseous fluids for explosive atmosphere installation ATEX). These heaters guarantee high performance and efficiency in maintaining high volumes of fluids (water, industrial oils such as fuel oil or thermal oil, gas, and air) that are subjected to thermal processes in the presence of explosive atmospheres. Thanks to the compact structure, it is possible to enclose in it a very high surface density (W / cm²), which also allows it to reach very high operating temperatures; This is made possible by the extreme proximity of the resistive wire spiral to the inner wall of the sheath, which guarantees immediate and optimal heat exchange to its outer surface and gives a longer operating life than conventional armored heaters, as well as a remarkable energy saving , excellent insulation at high temperatures, high resistance to thermal and mechanical shocks, as well as the advantageous possibility of installing inside it an efficient direct skin temperature control (version with internal thermocouple). 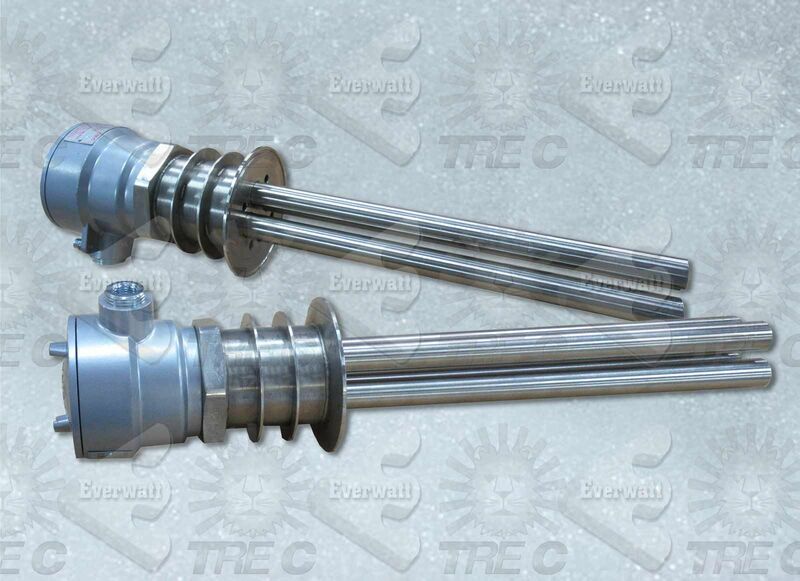 The heating elements that make up the tubular beam of the rectilinear type or 90 degree, which makes them suitable for easy installation even in pipes, tanks, pipe ducts or pressure tanks both in horizontal and vertical position, for heating direct or indirect use of gaseous fluids for the most indefinite uses in the main industrial sectors. Designed to work even in extreme conditions in the presence of explosive atmosphere, this type of flame-retardant ATEX electric heaters guarantees optimal heat exchange, even in very compact dimensions. 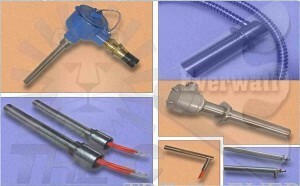 The ATEX flange cartridge heater has a tube bundle consisting of one or more electric heating elements of various diameter in stainless steel with electrical contact perpendicular to outlet or with 90 degree power supply, welded to TIG on threaded NPT, GAS , 1 “to 2” and 1/2 “flanges of different sizes according to UNI / DIN, ANSI, JSC standards, or unaligned flanges of variable size according to customer specifications, depending on operating pressure and temperature of work. 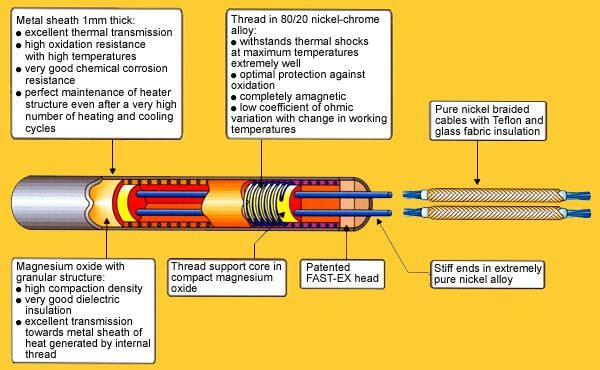 Within each cartridge heating element constituting the tube bundle of these ATEX flame heaters, one or more ceramic insulators resistant to sensitive thermal shocks (or temperature variations) are inserted; in its interior, one or more U-bent U-shaped spirals of Ni-Cr 80/20 of a given section are inserted to provide optimum working conditions according to the required power density; the resistive coil is immersed in magnesium oxide powder (Mgo) suitably compacted according to the power density and the specific uses to which it is used. 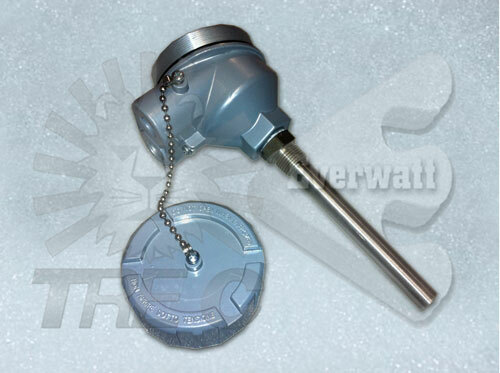 These heaters are powered by pure fiberglass fiber-reinforced pure nickel wire; Moreover, they can be built in any power, diameter, length, power and single-phase and three-phase voltages, as well as with differentiated power. They can be equipped with flange mounts of any type, DIN, ANSI, or any other standard, but also flanges of custom size on design. Also, with flexible, rigid, elbow protectors, etc. They can also be built with built-in thermocouples (standard models in stock with thermocouple type ‘J’), with special cable protections, 90 ° cable outputs and other non-standard finishing types on customer specifications; it is also possible to have a specific construction with cold sections (inactive or non-heating zone) at the respective ends, or with separate power lines and with 2-3 separate power circuits; this finishing is especially used in the construction of flange cartridge electrical resistances over 500 mm long, with a power density <15 W / cm². The part of the electrical wiring is housed inside standard, watertight, die-cast, carbon steel or 304 and 316 stainless steel IP65 / IP66 protection rating, classified as ATEX certified explosion proof ex-de , zones 21 and 22, by class temp. T1-T6 and use / installation in explosive atmosphere (II2D Ex tb IIIC T 65 ° C / T450 ° C Db IP65). 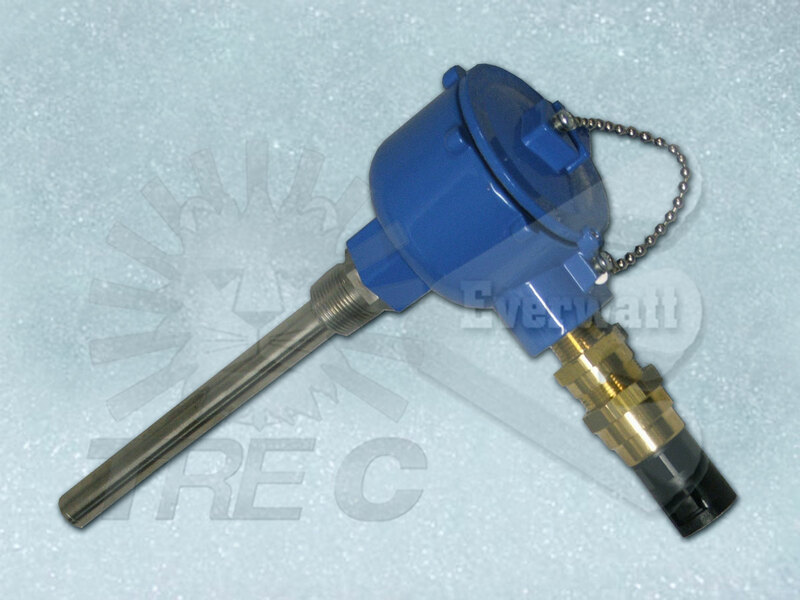 Equipped with accurate thermoregulators (fixed thermostats with thermocouple and / or thermocouples “J” or “K”), suitable for protecting the heater from overheating and premature damage, have a ATEX electrical wiring heads with properly dimensioned power inputs (metric pitch ‘M’, conical ‘Gk’ or ‘NPT’) according to the customer’s specific needs, depending on the number of installed elements, as well as the power and amperage which determines the power cable section. The surface load (W / cm2) of these types of electric resistance to ATEX flange cartridge is appropriately determined, from time to time, depending on the conditions of use and type of fluid to be heated; In addition to these factors, the maximum working temperature and working environment are also variable, which directly influences the choice of the type of sheath material with which to construct the tube bundle of these heaters (Stainless Steel AISI304, AISI 321, AISI 316L , Incoloy800, Inconel 600). 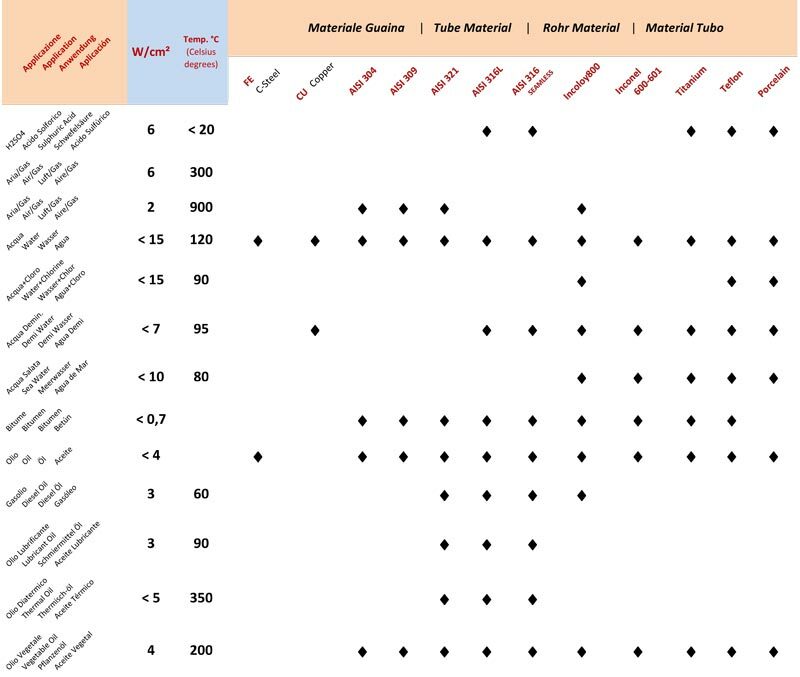 Flow rate indicated in Nm3 / h or in Liters / min. 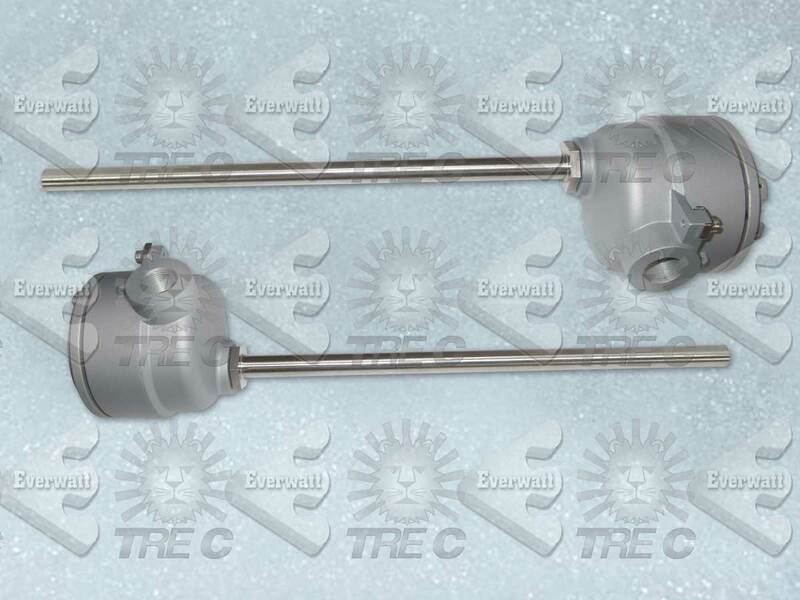 This special type of heaters is particularly suitable for all aeronautical and aerospace, military, and medical uses, as well as on molds and continuous cycle machines that have high plant shutdown costs. Cooling towers for use in the presence of an explosive atmosphere. The entire production cycle of ATEX flange cartridge resistors is subjected to the most rigid dimensional and electrical tests in accordance with our ISO 9001: 2008 certified quality management system and in full compliance with the requirements of current CEI / EN standards (EN 60079-7: 2007, EN 61241-1: 2004), ATEX94 / 9 / CE and, where required, PED97 / 9 / EC.